To me, possessing a Theory of Mind means that one is able to get inside someone else’s head – and dare I say, heart – and understand what he or she might be thinking or feeling. This practice can be evident in many applications, both practical and creative. For example, my craft as a poet – especially one who frequently writes persona pieces in the voices of other individuals – requires me to get inside someone else’s head in order to write. The words, idioms, and imagery may have been generated by me, but I do this whilst wearing the “skin” of someone else. According to Dr. Baron-Cohen, I should not be able to do this at all, due to an “impaired” Theory of Mind. But I do, and do so frequently. How does one explain this? 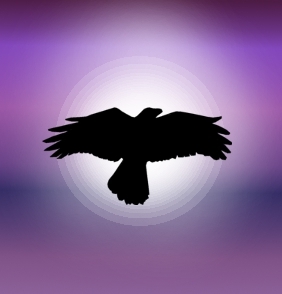 It might be easy to explain me away as an anomaly: a possessor of Raven Medicine (if you are into Native American Spirituality), or perhaps someone who has learned how to do this by mimicry. However, I do not believe I am alone in my capabilities to do this. Other autistics are stepping forwarding and speaking about their own perspectives and experiences empathy as well as their abilities to discern what others are thinking or feeling: Cohen-Rottenberg debunked the idea on her Journeys with Autism blog and Yusuf Smith systematically took apart Dr. Baron-Cohen’s ideas on his blog. Other autistic writers are questioning the very nature of empathy itself. Aspie Rhetor discusses an article by Dennis Lynch, “Rhetorics of Proximity: Empathy in Temple Grandin and Cornel West” which argues that true empathy requires a “bodily displacement” – in other words, to walk in someone else’s shoes, you literally must remove your feet from your own. Aspie Rhetor also states earlier in her post that “empathy… can only be remotely successful when engaged between people with similar backgrounds, people who occupy similar social stations”. Considering these points, one has to wonder if true empathy is ever possible: how able or willing are we to remove ourselves from our own shoes and truly understand the viewpoint of someone else, especially if they are fundamentally different from us? Aspie Rhetor’s statements intrigued me and I started to think about the issues of empathy and culture. The reigning experts on autism may not be taking cultural differences into account with the whole empathy question – and by culture, I do not simply mean race (which is NOT a biological truth but a sociological and cultural construct anyway), ethnicity, religion, etc. One must broaden the connotation of the word “culture” when considering this question. If we accept this definition as valid, then we must think beyond the general idea of culture and consider non-traditional connotations of the word. Organizations have their own distinct cultures – for example, I can identify and describe the distinct culture of my place of employment. One could argue that each family has a culture. Both entities fit the second definition’s requirement of having “shared traditions, which are transmitted and reinforced by members of the group”. Now, let’s expand this out to the idea outward and generalize it a bit more. What if neurotypicals could be considered part of a wider “culture”, and autistics part of another? While I realize I am stretching this a bit, I ask you to consider this idea for a moment. As Aspie Rhetor and others have suggested, neurotypicals may have schemas of what is considered “correct” empathy – which is an inherited idea by other neurotypical individuals. Those who do not display empathy according to these schemas may be labeled as “lacking empathy”. However, I think of many people who have left comments on this blog who have discussed their own experiences with expressing and possessing empathy, as well as some of the writers on the Autism and Empathy website who describe not only their own empathetic reactions but those of their autistic/Aspie children. Additionally, I think of Laura Nadine’s video, “My Violin Cries” in which she talks about how she dealt with the loss of her violin teacher and mentor, as well as this short video by AspergerSquare8, “Autistic Awareness – Empathy”. All of these individuals attest that at least some of the autistic population possesses empathy. So, given the above, could it be that what is often misconstrued as a “lack of empathy” is simply the failure of one wider “culture” to understand another? In other words, could the consistent claims of lack of empathy on the part of autistics be the result of neurotypical researchers/scientists/psychologists/etc. judging autistic empathy by neurotypical standards? I recall when the movie Avatar was released that there were many who were critical of the whole premise of the film, which chronicled the desire of a member of a dominant culture wanting to become the “other”: a human becoming a Na’vi and then eventually wanting to join them. Race relations were discussed in light of the film, suggesting “White arrogance” and parallels to Dances with Wolves. After hearing and reading some discussions, and reflecting on these discussions, it is easy to wonder if it is ever possible to wear the shoes of another…especially if it’s someone from a perceived “majority” culture trying to understand someone from a perceived minority. By extension, it’s also easy to wonder if most neurotypicals will be able to understand or empathize with autistic people. What I might term “dominant culture arrogance” is present in many forms and in many civilizations. For example, one might example caste relations in India and conclude that some arrogance exists on the part of those in higher castes which would stand in the way understanding or empathy – for example, a Brahmin attempting to see the viewpoint of or empathizing with a Dalit. Or, if I wish to avoid the “majority/minority” dialectic, I might suggest another term: “cross-cultural arrogance”. In this case, it could be defined as the tendency to consider one’s own culture/group/etc. to be universal, natural, or even superior versus that of another. But in either case, the arrogance would exist. What would cause such arrogance? One might conclude that this arrogance, along with prejudice and biases, were inherited from parents of other family members; unless one choses to reject them, they remain with an individual throughout adulthood. Included with this arrogance would be a natural tendency to look down on those from a different, or perceived “minority” culture (the “other”). Additionally, another factor which could stand in the way of empathy is simple ignorance – a lack of knowledge or understanding about the other culture in question. This kind of ignorance may be caused by a lack of exposure to the “other”, possible due to a lack of opportunities (e.g. not actually knowing an autistic person, thus being ignorant of what one would be like). What’s also interesting is that another cause of this kind of ignorance would be the very prejudice and arrogance I spoke of earlier – such characteristics would cause a person to not want to get to know the “other”, thus the ignorance continues. It is easy to wonder if one can truly remove oneself from one’s own shoes to truly experience the world through the eyes of another. This, I would think, would require one to leave one’s own culture, upbringing, personal prejudices, mental filters, and even perhaps one’s own identity behind to do this. For many, this is certainly no small task – it is easier to empathize with someone that you can easily identify with. Yusuf Smith gives the example of the attitudes of French feminists towards Muslim girls who wish to wear veils, stating, “they identify with the girls who do not want to, and insist that their right not to wear the veil comes before the right of those who insist on wearing it to receive an education or, in some cases, employment”. In other words, this would be a form of flawed empathy, and I would imagine it would be very hard for those feminists to imagine themselves wanting to wear a veil. This would require those feminists to leave behind their own ideas, beliefs, and mental filters. Similarly, it is easy for neurotypicals to imagine a hellish, painful existence as an autistic, basing their assumptions upon their own ideas/beliefs/prejudices. However, in his article, “Don’t Mourn for Us”, Jim Sinclair says that “the tragedy is not that we’re here, but that your world has no place for us to be”. I know this is true from personal experience, as my personal pain related to Asperger Syndrome has nothing to do with the Asperger’s itself but more to do with its encounters in a neurotypical world, which include emotionally painful things such as misunderstandings and prejudice as well as physically painful things such as sensory overload. However, once prejudice and arrogance has been removed and any “culture clash” I spoke of earlier has begun to melt away, I believe that successful acts of understanding and empathy can occur. First of all, we must remember that the human existence can be summarized by basic needs and desires. I think of Abraham Maslow’s Hierarchy of Needs in which specific needs fall into five categories: physiological (sleep, food, drink), security (financial stability, a safe neighborhood), social needs (belonging, love), esteem needs (self-esteem, personal worth), and self-actualization needs (personal growth and fulfilling one’s potential). While some of these basic needs might manifest differently with each individual, I would argue that these categories are very basic and could encompass many different specific needs and desires. Even beyond these five categories, it might be possible to define the human experience with need and desire as two distinct states of being: the joy, satisfaction, or feeling of security in having one’s needs met versus the pain, sorrow, frustration, or anxiety at either losing something that meets a need or not having a need met at all. I think that the understanding of these two states – the joy and the sorrow – is the basis of empathy, unclouded by prejudice, unclouded by personal belief, and unclouded by specific personal desires. Given what I believe that acts of empathy (at least expressed empathy) require, it would seem to me that Baron-Cohen has incorrectly expressed his idea of what Theory of Mind is. I believe that his “Theory of Mind” should actually read more like this: it is the ability of a person to determine the contents of one’s own mind as well as the ability to correctly assume – using current beliefs, shared cultural artifacts, and basic cultural assumptions – what the contents of another person’s mind would be. And according to this definition, this means that anyone – not just autistics – would be likely to have impaired Theory of Mind if they are blinded by prejudice, ignorance, incorrect cultural assumptions, and even a lack of respect for the other person. As documented above, empathy does not require that someone be skilled in this particular “Theory of Mind” and simply requires a desire to understand, put away personal prejudices, and reach out to the other is required. Judging from my own experiences, as well as the experiences of other autistics, I am certain that autistic people are capable of this kind of understanding and empathy. The prevailing definition of “Theory of Mind” be reexamined and considered. Its continued perpetuation will continue to be damaging to autistic people and unfortunately continue to promote the “lack of empathy” myth which continues to plague the autistic community. That’s been my experience. I can’t tell you how many times I’ve noticed a neurotypical assuming that I know something that they haven’t told me or stated explicitly…failure to grasp what information another knows runs both ways! In fact, I notice it MORE with neurotypicals – the arrogant assumption we’re all on the same page even though no one has communicated what that page is. Frustrating. You are so on in this post – I can RELATE to exactly what you are saying. Also, as I skimmed it – my attention is not GREAT and have been physically sick, so could not read entire entry as of yet – I can FEEL what you are typing. I am more “other” centered if this makes sense – basically, I learned my mimic and copying – aside from studying psychology, but what I struggle with is what you mentioned – the SENSORY-OVERLOAD very often is a huge issues and also, maybe even OVER-EMPATHIZING…. Is THAT even in the realm of possibility when one think’s of one with Asperger Syndrome or other developmental delays’ – sensory processing disorder, etc…. Another struggle comes with application of certain concepts’ or ideas’ as well, because intellectualizing and theorizing is SO easy, at leasts for me. Thank you for stopping by and commenting. For the last few months, RL took over with a vengeance so I haven’t been able to respond to comments on a regular basis as I normally would. Mostly, I ended up “other-focused” in my adult life. I mainly did it to try to figure and “psych people out” so I wouldn’t keep getting it wrong all of the time. I also watched and mimic other’s behaviors in an attempt to feel normal. But the older I become, the more fake it feels. I don’t think the “scripts” I use to relate to other socially will ever feel like they are naturally. Also, I have coped with life by being rather analytical — of both people and things — so sometimes when analysis doesn’t match up with reality, it is a bit of a challenge. And as far as overempathising is concerned….well, I’m not the only one who has postulated that some of us on the spectrum tend to do this. I mentioned autismandempathy.com in my post and multiple others have said that they do feel the emotions of others, sometimes painfully so. I can feel what you are saying about living in other people’s shoes. Sometimes, I need to make sure I still have my own moccasins on. A balance needs to be struck between empathy and caring for one’s own self and needs. Best of wishes to you on your continuing journey. That ‘thing in a box’ annoys me intensely. It has been repeated in many forms. From what I recall, they often don’t specifically ask the question ‘where will X look for the thing’, they just observe to see which box the autistic person is concentrating on. And I would be concentrating on the box with the ‘thing’. Because when someone finds an empty box I know they will go looking for the thing they lost. But when they find it, they are likely to get angry because it has been moved, and because I can’t handle or deflect other people’s anger, and it’s likely to push me to a meltdown, that’s a very alarming moment. So I’m watching the box with the ball/sandwich/other thing, because that’s the trigger for the bad stuff. As a child, ‘Where will Sally look for the ball’ is likely to have me pointing at the ‘wrong’ box, because my anxiety is focused there, and it is likely to overwhelm my ability to think through the question. Autistic people spend most of their time trying to think themselves into the minds of others in order to predict stuff NTs take for granted. That we do it a ‘different’ way doesn’t invalidate it. Thanks for stopping by and commenting. As I’ve mentioned in my other recent comments, I haven’t been able to lately because of events in RL. So, please accept my apologies for not responding sooner. You make a very interesting point about the Sally-Anne test…one possible reason for an autistic/Aspie “failing” the test is focusing on the source on one’s potential anxiety. I know I have experienced this myself, not with the Sally-Anne test (because it was never administered to me) but with life in general. I do tend to focus on things which cause me anxiety, because I feel as if I am sometimes not able to handle the resulting events and my stress levels go up…and that plus the anxiety make me “freeze up” and less likely to be able to think and act in a positive manner to solve the problem. This, in me, was exacerbated by the abuse I experienced as a teenager, as I lived in a household with a violent aunt with a very unpredictable temper. And I think you’re dead on when you said, “Autistic people spend most of their time trying to think themselves into the minds of others in order to predict stuff NTs take for granted.” This is related to how many of us mimic NT behavior…I think not just to act and appear “normal” but just to be able to understand and get along in this world. I think some of us carry around that evolutionary heritage of not wanting to be “excluded by the group”…safety in numbers and all that jazz. I know on my own end that I’ve tried to predict what others are thinking as well. It’s a challenge to make myself stop. But even without a background in a dysfunctional family, I wonder how many more of us experience that particular phenomenon. I think this would be a good topic to explore later down the road. I agree entirely with your point, that empathy is not a matter of expressing concern, but of learning about the reality faced by the other person. I want to speak more of the inability of helpers to empathize with someone with Autism, rather than the other way around. When I took responsibility for my youngest brother, born with PDD-nos and Brain Injury – the experience I shared with him, that gave me empathy – was that of being underestimated and criticized in a very troubled home, looking nice on the outside, but where more dominant siblings ruled the roost, competed, and left out those who did not fit. This included my youngest brother with his slowness, and my louder older sister, fearing my quickness and her vulnerability, made sure I was shut out from the older brothers. My understanding of the fears of exclusion and failure that come from this kind of upbringingI left me a sensitivity to recognize similar fears and longings in my youngest brother, whose slowness and neurological issues always left him out of projects where competence mattered. I had struggled to hear my own voice, and then learn how to pace myself, now struggle to organize myself and communicate. I knew too well the excruciating fear when my efforts won me important opportunities in earlier years – and in my fear I would blunder, be embarassed, and run away – losing every important opportunity. My brother is similar. I understood the fear of success of people accustomed to failure and invisibility. I will get to my point: when I happened to take responsibility for my youngest brother, with no idea how large a task this would become – I took repeated time close beside him, observing, listening, reassuring, teaching better communication methods. I observed and came to see the patterns behind his explosive outbursts or behind the stresses that resulted in seizures. Over time, I realized the actual impact of his spatial incoordination on his day to day life, that our family had noticed of course, but did not stay still long enough, to realize how many things in his day were impacted, and how he feared failure so much, that he devised a solution: smiling and telling others he was OK. This would leave them thinking he’s a swell guy – until his later meltdowns when close observation showed how lost he had been during the whole time. I came to understand that he only learned and retained information by doing, by repeating. He felt secure when he learned competencies, when helped thruogh planning and repetition at his pace, so his own actions could improve skills, which would guide him to positive results. But most caregiver helpers who help adults in the community – had NO IDEA of the degree of self doubt that was part of his ongoing lifestyle. Looking for surface answers, they believed his “OK”, and went on their way, not noticing that he was left him staying at home afraid of joining others. Many of these caregivers were married, or professionals or in school – they looked at life from an organizational perspective that is taught in school training programs (how do you organize care for large groups) – so they had little empathy to understand my brother’s simple but critical need for temporary support through transitions. Sometimes I’d miss the boat too, but I saw his outbursts or seizures as a communication signal of his fear and stress. And, I learned that once he’s eventually stable in routines, he is no longer anxious. He has learned to cope with a lot of loss, including of his balance after falls, but his trust of his own voice and goodness, have helped him cope. But now, his balance issues have put him into the care system, where professionals treat many people according to theories, without taking time to listen, observe, track progress and failures, or even trust my words on his behalf. We are both hanging on by threads, in need of empathetic support so we can make progress. It takes nothing at all to make him suddenly afraid he will not be able to handle it, and so he had better give up, but because I understood that, I kept the focus on keeping him going. I give up when it comes to arguing or pursuing successful goals myself – we had too much early exclusion and outside comments and punitive arguments, without help to actually engage in activities, so missed opportunities to learn at a slow pace we could handle. Wow. Thank you very much for sharing your story and your perspective. Not having much experience with the “system” myself except for attempting to get diagnosed, I would say this is some very good personal insight of caring for someone who needs more than just the perfunctory caregiving available to most, and also how difficult it might be for someone to gain confidence and courage to try to do what many people take for granted. Have you shared your story elsewhere? I believe this would be very valuable and insightful for caregivers who handle autistic people to read. It also seems to me that once again, a willingness to understand the other person is a key to empathy. You have your own firsthand experiences, which is a bonus when understanding a recognising what your brother needed, as well. Hello: I’m a female Asperger who is working to expose the Simon Baron Cohen work on Asperger people as closer to a religion than to a scientific pursuit. In fact there is no scientific basis for his attacks on us. His variety of psychologist belongs to a long line of control freaks who want to ferret out “evil people” under the guise of “helping” the ever-growing list of humans who are defective. The Inquisition and other witch hunts come to mind. This is dangerous – Eugenics has found a new home in DNA testing for “disabilities.” There is no scientific proof that empathy exists “in the brain” – this is a social idea – a mental invention that has been given legitimacy by designing a test that is rigged to ‘prove’ that Asperger individuals are not really human. I am actively debunking the EQ test and the concept of empathy on my website. Here’s Simon Baron-Cohen’s definition of empathy, taken from the first chapter of his book The Essential Difference: Male and Female Brains and the Truth about Autism Empathizing is the drive to identify another person’s emotions and thoughts, and to respond to them with an appropriate emotion. Empathizing does not entail just the cold calculation of what someone else thinks and feels (or what is sometimes called mind reading). Psychopaths can do that much. Empathizing occurs when we feel an appropriate emotional reaction, an emotion triggered by the other person’s emotion, and it is done in order to understand another person, to predict their behavior, and to connect or resonate with them emotionally. The Science of Evil: On Empathy and the Origins of Cruelty by Simon Baron-Cohen (read an interview with the author) is a fascinating look at evil redefined in measurable scientific terms. A more correct definition of evil, according to the author, would be “a lack of empathy” which is quantifiable. Baron-Cohen, a Professor of Developmental Psychopathology in the departments of Experimental Psychology and Psychiatry at Cambridge University, has studied the brains of both normal subjects and people lacking in empathy and from his studies has defined six levels of empathy and what he calls the “empathy mechanism”. A person at Level 0 displays absolutely no empathy and is incapable of feeling someone else’s pain, while a person at Level 6 has a highly-developed sense of empathy and is continually tuned in to the people around her or him. Most people lie in the middle range and are distributed in a bell-shaped curve. People who are Zero-Negative often manifest as having what are traditionally defined as Borderline, Antisocial (Psychopathic), and Narcissistic Personality Disorders. While each disorder is a bit different, the people that fall into their categories leave a trail of pain and destruction behind them and are capable of heinous acts without any thought to their victims. But Baron-Cohen says that it is also possible to be Zero-Positive, chiefly in Aspergers Syndrome which creates, because of a high level of systemizing within the brain, benefits to the person and to society.